Since 2014, the demand for fabric displays in the exhibition industry has been steadily increasing. Despite being initially slow to adopt fabric as a display media, improvements in hardware, inks and printers as well as the many benefits of fabric have made fabric displays a popular choice for many exhibitors. 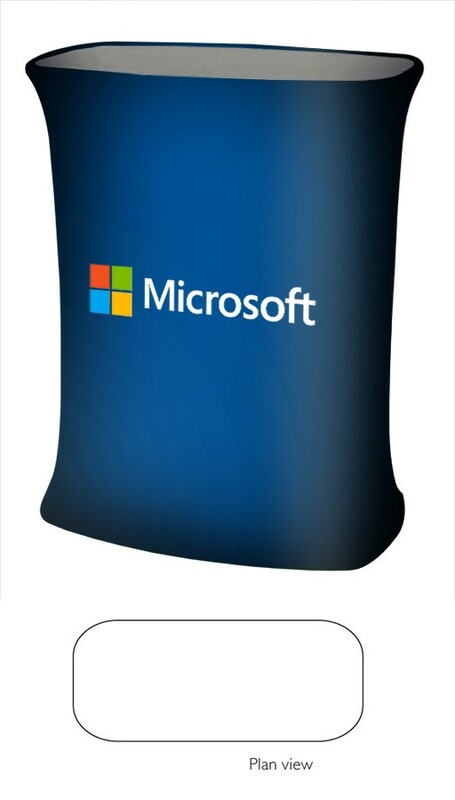 Popular 3x3 pop up displays are known for being portable are relatively lightweight, however a Formulate fabric display of roughly the same size weighs just 1/3rd of the pop up at 9kg. The ability to fold down the display polyester also allows you to pack the exhibition stand into smaller bags or carry cases, making the transportation of your fabric display effortless. The lightweight nature of fabric displays also makes them cheaper to transport should you choose to use a courier to get the display to your desired location. Shipping your display internationally also proves to be much cheaper with fabric displays due to their folded size and weight. One of the major perks of Formulate fabric displays and fabric displays overall is the fact that they are machine washable. The design doesn’t crack or fade with washing as it is printed using a heat-transfer technique as opposed to printed directly onto the top of the fabric. Heat-transfer fabric printing, also known as dye sublimation is done by transferring unique sublimation dyes to sheets of transfer paper via liquid gel ink. The ink is deposited on the high-release inkjet papers, which are used for the next step. After the digital design is printed onto sublimation transfer sheets it is placed on a heat press along with the substrate to be sublimated. In order to transfer the image from the paper to the substrate it requires a heat press process that is a combination of time, temperature and pressure. The process of setting up tension fabric displays is the same throughout the Formulate fabric range. 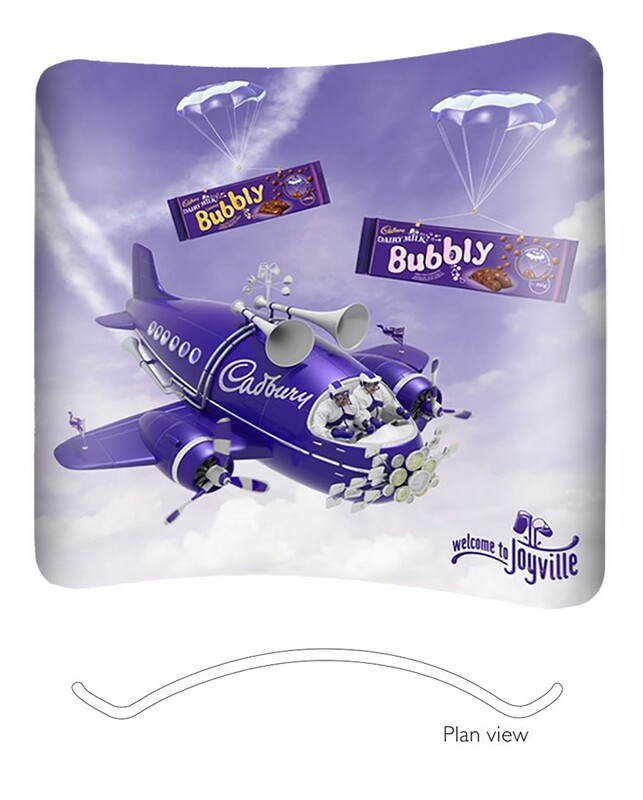 All you have to do is connect the aluminium poles to create the frame of your display, the graphic fabric then unzips at the bottom so you can stretch it over the frame and then zip it back up to secure the fabric snugly around the frame. No matter the size of your display assembly can be completed by just one person in approximately 5-10 minutes, disassembly is also just as simple. Despite being significantly more lightweight in comparison to traditional 3x3 pop ups, they are still more durable. This is because the display polyester sock that covers the aluminium fame is both scratch and crease resistant. When the fabric sock is stretched over the frame any creases are removed due to the tension. The Formulate Curved Tension Fabric Display is a popular option due to its resemblance to the traditional 3x3 pop up but with the benefits listed above. This display stand is strong and sturdy with no tools required for assembly. The lightweight aluminium structure can be assembled by one person in minutes and the graphic simply slides over the frame and zips up to secure it in place. This display is available in 3 widths: 2400mm, 3000mm and 6000mm as well as single or double sided to ensure your marketing message is never missed. 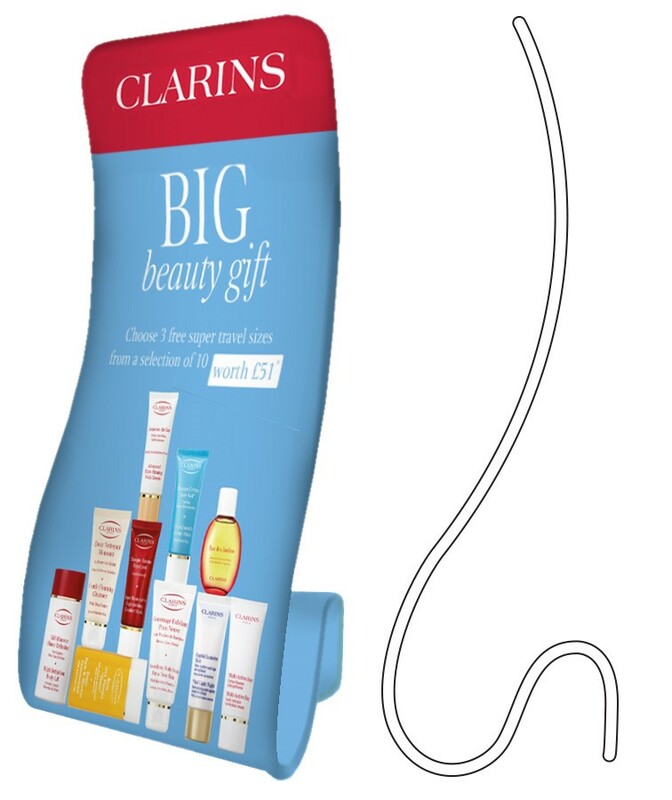 The unique shape of the Formulate Snake display stand makes it one of our favourites and creates a unique and interesting alternative to traditional banner stands. The snake is designed to attract attention and impress no matter what the display environment, from retail stores to exhibitions. The fabric graphic is printed using the latest dye sublimation process, as with the rest of the Formulate display range. This creates a hard wearing fabric sock that is resistant to creases and scratching. The Formulate Fabric Counter comes with a black base and top made from MDF which is supported by four durable aluminium poles. The tension fabric sock is easily attached using a silicone edged material to hold it in place. To view our full range of promotional fabric counters, visit our Fabric Display Counters page. To see the whole Formulate range click here. At XL Displays we also offer a graphic design service and one of our graphic designers can create your fabric display for you. We are experts in exhibition stands and portable display equipment. For more advice and information on how we can help you prepare for your next event, please contact us or call us on 01733 511030.